Robotic surgeries are on the rise; in the last 14 years, more than 1.75 million procedures in the United States used robotic systems. One such system, the da Vinci® Surgical System, allows for very precise movements during surgery. Book an appointment online or by phone with Dr. Matthew Lublin’s practice in Santa Monica, California, to learn whether you may be a candidate for a da Vinci robotic procedure. The da Vinci® Surgical System is a robotic technology that allows Dr. Lublin to perform surgery through a very small incision using a laparoscope — a tiny telescope with a camera attached — along with other instruments. The system translates Dr. Lublin’s hand movements into very precise, small movements of the instruments inside your body. Although the technology is robotic, Dr. Lublin is in complete control of the instruments at all times. What are the benefits of a da Vinci Surgical System procedure? The da Vinci system is one method of minimally invasive surgery, meaning that you will have a much smaller incision than with traditional, or open, surgery. Minimally invasive surgery often equates to a shorter hospital stay — or in some cases an outpatient procedure — as well as a faster recovery time. When Dr. Lublin performs a procedure with the da Vinci System, he uses instruments that mimic the movement of the human wrist but have greater rotation and flexibility compared with a human wrist. This means the instruments have both a greater range of motion and more precision than a human hand. The da Vinci Surgical System also includes software that provides Dr. Lublin with an enhanced and magnified view of your internal organs. The system gives visuals in 3-D and in high definition, adding to Dr. Lublin’s ability to control the instruments confidently. There are some risks to da Vinci Surgical System procedures — just as there are with any surgery. For example, there is a risk of blood loss requiring a blood transfusion during a robotic procedure. However, that same risk is even greater during open surgery. 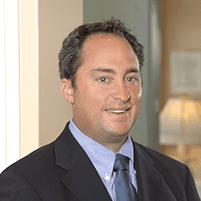 Dr. Lublin will thoroughly discuss the risks associated with your particular procedure prior to surgery. What kinds of procedures are performed with the da Vinci Surgical System? In addition to robotic surgery, Dr. Lublin also performs laparoscopic surgery and open surgery. The method he uses depends on many factors, such as your overall health, your condition that is requiring the surgery, and your lifestyle. His recommendations are based on your unique situation, and your safety is his top concern.